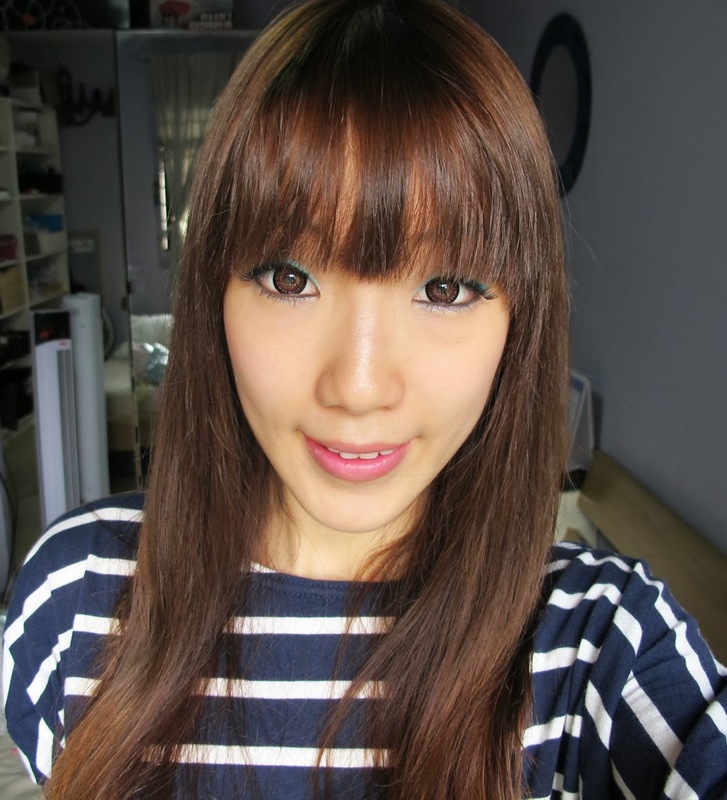 Confession of a Die-Hard Makeup Junkie ❤: SHuiYuki's - I'm back to 99Percent Hair Studio! SHuiYuki's - I'm back to 99Percent Hair Studio! (っ◕‿◕)っ ♥ Ahhhh yes, that's your truly having that 'modelling' feel of the moment. LOL! I'm so excited to share with you guys my back-once-again LOVE that I just simply stared at my com and keyboard - not knowing how/what to type as 1001 stuff gushed in & out of my mind simultaneously! I shalt not waste anymore time and いきますしよ (let's go)!!! ╍●‿●╍ Salon Vim has been great, but "there's no place like Home." ☑ I only review sponsored products/services which I have tried on myself personally to see if the products are effective on me before I recommend to my readers. (✿◠‿◠) I My tresses were actually handled & treated with Fion for the LONGEST TIME (SINCE 2006). Although I did skip and tried other salons once a while, but I always return back to her at the end of the day. That was how much I trusted her and her team to fix mine & my friends' 三千煩惱絲. ❀◕ ‿ ◕❀ See my EGGCITED face! Really feel SOOOOOOOOO GOOD to be back! ✓ Long-lasting & visible results! ≧❀‿❀≦ OMG!!! This is a MUST HAVE for everyone to try man!!! Aside, the nice fruity fragrance (yeah, I'm having a soft point for floral / fruity scent recently), this hair mask REALLY ABSORB INTO THE HAIR WITHOUT LEAVING ANY STREAKY/ OILY RESIDUE on the hair or on the palms! *Tested and Proven* Psst, even my JAL GF also asking me to get a bottle after trying mine while bunking in with her at our KUL night stop! (っ◕‿◕)っ ♥ MY ULTIMATE LOVE (aside the Yogurt Hair Mask)!! In fact, the duo make the BEST HAIR COMBI EVER!!!! Whilst the Yogurt Hair Mask helps to hydrate my hair follicles, the Rose Oil helps to protect them against UV Rays and reduces further damages e.g the recent Haze and pollutions etc. Is this promo "FREE MEMBERSHIP and EXCLUSIVE DISCOUNTS" still valid? They are having NEW promotions for this month till July! Do check their Facebook or IG (instagram) for more details!